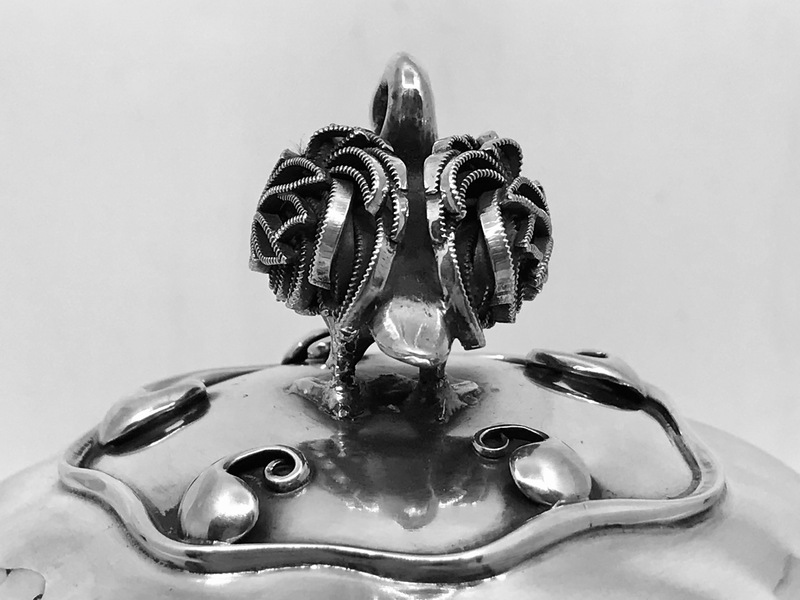 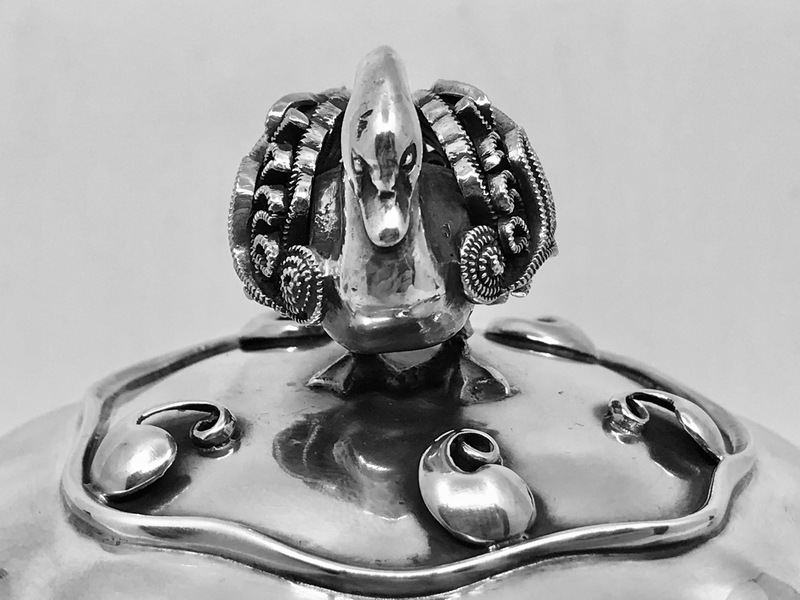 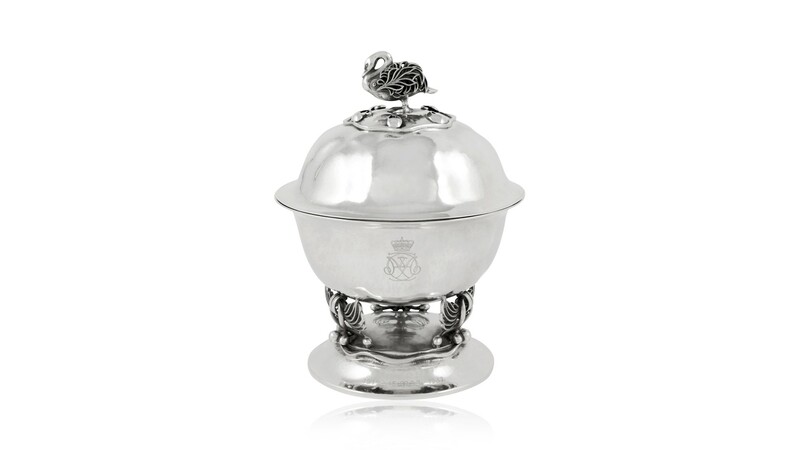 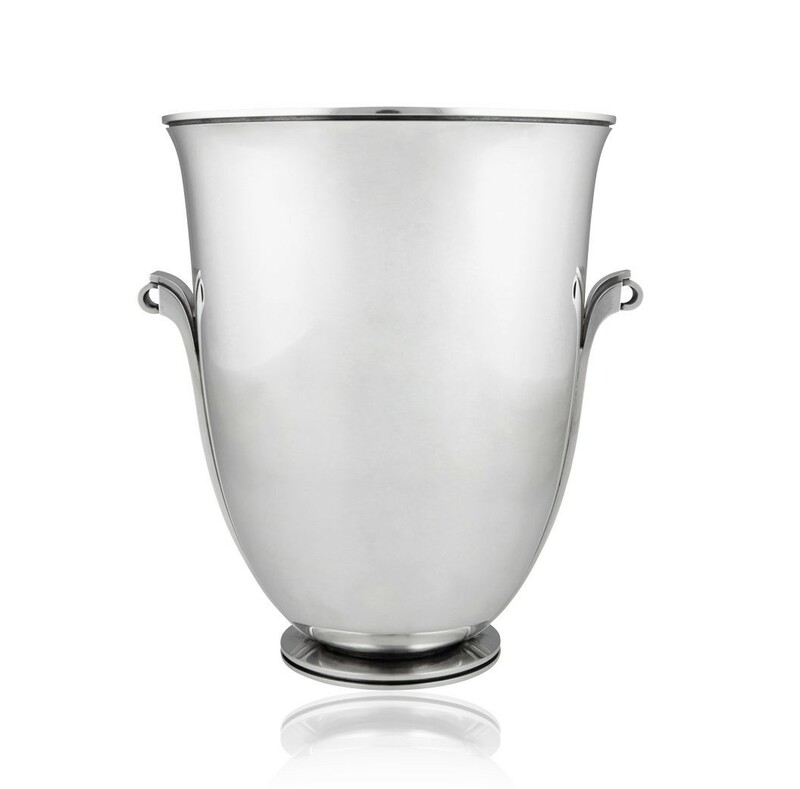 This is a sterling silver Georg Jensen bonbonniére, design #249 by Johan Rohde from circa 1917. 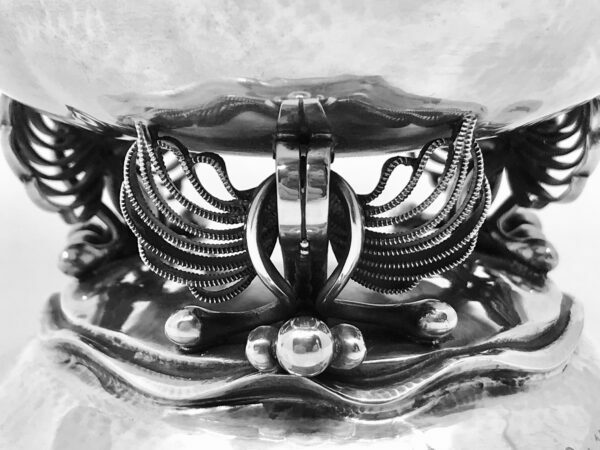 The finial is a swan with beautiful filigree wings, the bowl is also raised on filigree wings. 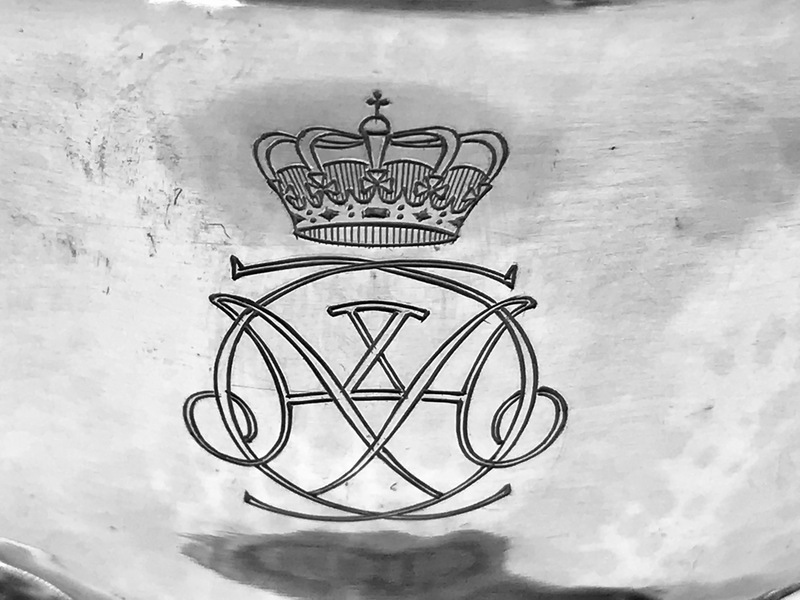 Engraved on the side with the crowned monogram of Denmark’s king Christian X (1870-1947) and Queen Alexandrine (1898-1952). Provenance: Present for King Christian X (1870–1947) and Queen Alexandrine (1898–1952) of Denmark, originating from the Royal couple’s 25-year regent anniversary. 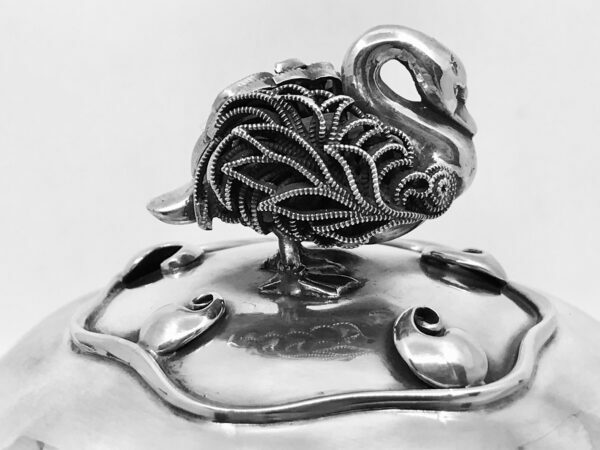 Measures 6 1/4″ in height and 4 3/4″ in diameter (15.3cm, 11.9cm). 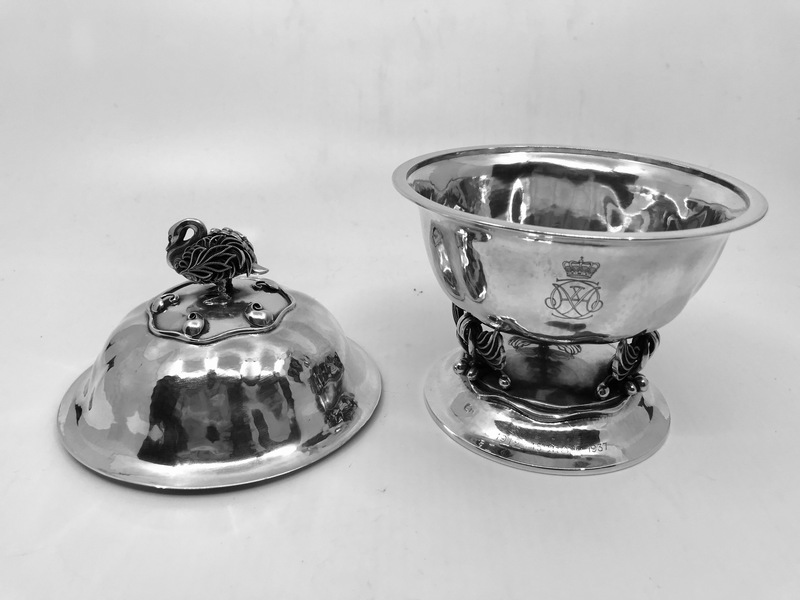 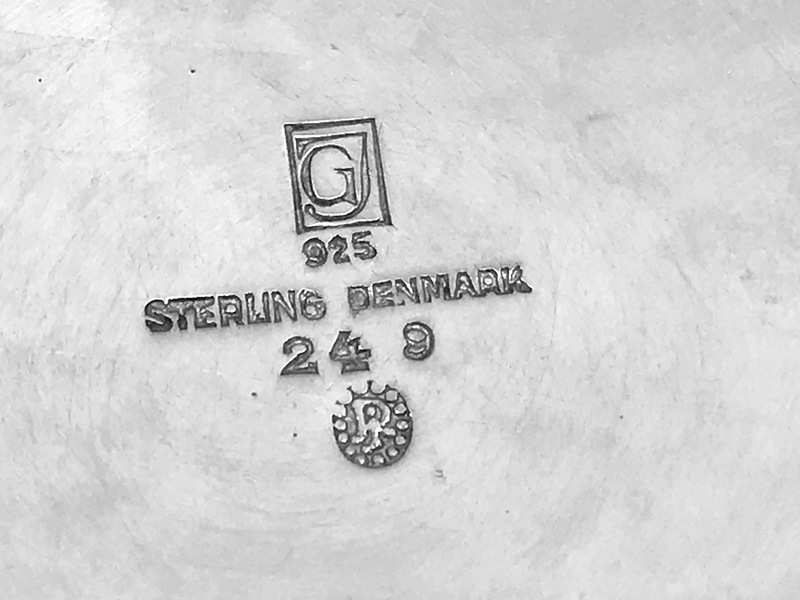 Vintage Georg Jensen hallmarks from 1933-1944.